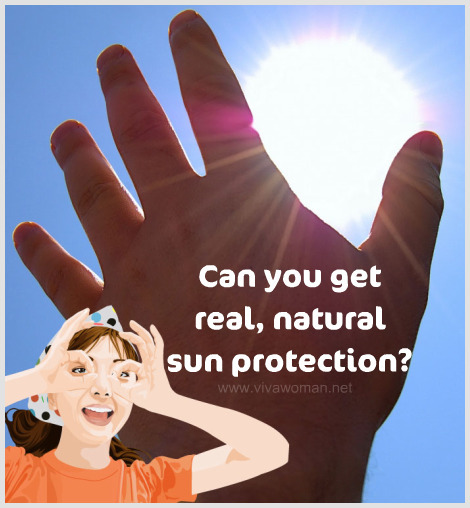 Denise posted a comment in my entry regarding homemade natural sunscreen and asked if there are more natural substitutes of sunscreen filters or blockers and I thought I’ll like to address this in a separate post. While zinc oxide and titanium dioxide are always stated to be natural sunblock ingredients, they aren’t natural in the true sense and are still chemical compounds. Â So strictly speaking, none of the sunblocks or sunscreens which use even just one or two of these ingredients are considered as 100% natural. Â So for those who want the most natural sun protection, what other ingredients can they get from and will those be sufficient? 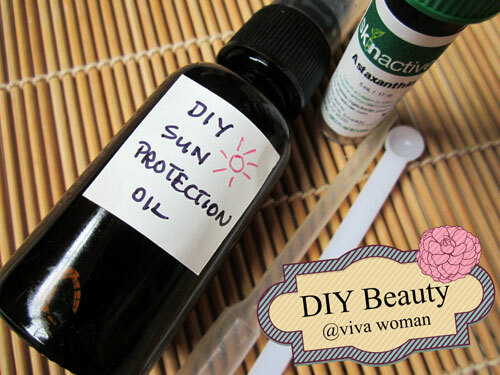 You can derive sun protection from various plant oils. Â From my readings, it appears that Red Raspberry Seed Oil provides the highest broad spectrum UV protection against bothÂ UVA and UVB rays because it contains exceptionally high levels of alpha and vitamin E, vitamin A, omega-3 and omega-6 fatty acids. Some sources stated that Red Rapsberry Seed Oil has SPF as high as 28 – 50 and equal to that of titanium dioxide. However, even if the information is accurate, I have no idea how much Raspberry Seed Oil you need to apply on your skin to get that amount of protection. In addition, the usage of Red Raspberry Oil on the skin is not the equivalent of using a properly formulated SPF product since many factors are involved in how a product works as a sunscreen including absorption rate and viscosity of the formulation. But you should be happy to know that you’ll get added sun protection if you find this ingredient in your skin care products. However, again I have to stress that the SPF level indicated is extremely variable, depending on how and how much the ingredients are used. I also found this study which indicated that green tea extract has an SPF of 1.05 and white tea extract has an SPF of 1.21 through a test carried out on 90 subjects. Â But green tea is a great antioxidant because it is high in polypheols and so using it topically can help fight free radicals. Â In addition, drinking lots of green tea will alsoÂ Â provide internal protection from UV radiation too. So to answer Denise’s question, yes, there are natural ingredients that provide some level of sun protection. Â However, taken individually, each ingredient provides very low or variable UV protection. Â But you will be happy to know that if you’re using a lip balm made mainly with Shea Butter, Jojoba and Hemp Seed Oil, you’re actually getting some level of sun protection. Oh thats good to hear that some of the common ingredients in lip balm has SPF protection. I was looking at SPF lip balm…but I’m lazy to use. Still have more than half a tin of the rose salve lip balm. I also still have the rose salve one somewhere and have not used it in awhile. Now liking the Chopsaver one a lot! I seldom use lip products, even when I have a full face of makeup on. Hahahahaa…. Haha…I get the flying hair sticking onto lips one! I remember a fly sticking on my lips with a really sticky lipgloss! GROSS! Ewwww….a fly!!!!!! That must be terrifying and very very gross. Thats why no lip product for me. Unless I go for important functions. But any lip colour is gone when I start eating. Ya super gross! That’s why I hate sticky lipgloss now. Anyway, I also hardly wear lipstick now cos I always get a crease when I’m under the aircon and my lips look quite horrible after awhile…so I prefer lipbalm but then, I look too pale. Yes, you’re right…Camellia oil also provides some sun protection but there is no published data on the SPF. I imagine it’s quite low. Wow!That’s a great post. 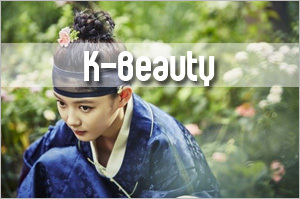 I came to know about some ingredients which provide a broad spectrum UV protection. i tried using red raspberry seed oil before. i think it smells really nice:) use it when i’m indoors. good that it has uv protection since uv can get thru the windows.. but i’ve finish my current stock. would buy it again but only after i finish my emu oil, rosehip oil and sea buctkhorn oil… haha quite hard to finish them. haven been using them lately unless i’m at home cos else my face will look oily. It is said to have UV protection but I’m not too sure about the claims of SPF28-50 as it seems rather high to me. I guess just like sunscreen, it depends on how it was used and tested. But yes, I don’t mind using the oil at home. And oh, you’ll be happy to know that seabuckthorn oil provides some level of UV protection too…but I don’t know how much. That’s really cool! 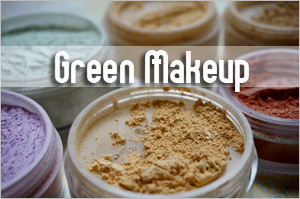 I think that using natural stuff is great in addition to suncare, but not a replacement. 🙂 I’ve heard that vitamin C also give physical ss a boost. I also heard that avocado oil has spf properties. I think that a good diet w/ vitamin and lycopene and greentea and fishoil help the skin defend against the sun. Yes, you’ve got it spot on. It’s an addition, not a replacement. Vitamin C fights free radicals so it’s good to use underneath your sunblock/sunscreen. Just to be clear, you’re saying that raspberry seed oil is NOT a chemical compound? And can you explain what “natural in the true sense” means? Even water is a chemical compound. You raised a valid point. But no, I didn’t say in my entry that Red Raspberry Seed Oil is not a chemical compound but I guess you get the impression since I wrote that it’s a natural ingredient. I’m not sure if the oil should be compared to water as the way it’s derived is different as it is through extraction by cold filter at low pressure without solvents or enzymes. I was comparing more with ingredients like zinc oxide and titanium dioxide. For example, although zinc oxide is a mineral, I don’t really consider it to be a totally natural ingredient or substance as when it’s used in a sunscreen formula, it is all man made in the lab. There are even the micronized and nano versions now. However, when marketed, it is always classified as natural. So there are people who are not in favor of using zinc oxide and titanium dioxide and for this group, at least there are natural ingredients like plant oils to turn to, even though they do not provide sufficient sun protection. This information is very interesting and I do agree that some natural ingredients add some sun protection value, that’s why they are used in most sunscreen formulations. However I have some serious doubts that Red Raspberry seed oil adds as much as SPF 28-50. It can be used only in 1%-10% concentration in skin care products, so math itself just doesn’t add up. How 10% of this oil and 90% of some other substance can protect from the sun for the entire day of sun exposure (that’s what SPF28-50 should do)? I think one of these days I will go outside and test it on myself, and see how long I will stay un-burned, just for the sake of science 🙂 I wish it was true. Like you, I am actually doubtful of the level of SPF protection but I believe it does provide some protection. And you raised a good point – how much protection can you actually get using only 1 – 10%? Even when applied neat, how much must we apply to get SPF28 considering for sunscreen, a thick layer is needed to get sufficient SPF. I’ll recommend using this oil only indoors for those who are against using sunscreens. I definitely wouldn’t wear this alone out under the hot sun but I’m keen to know the outcome of your experiment. * I hope you won’t try it on your face though! Oh no, am not that crazy to subject my face to the experiment. I will try to use my hands. But even that is challenging. It would be hard for me to do nothing all day and just keep my hands on the sun. Here is a good quote I founf on http://www.fromnaturewithlove.com that spills some light on the strength of RRSoil “Red raspberry seed oil can be added to any formulation to add protection against the sun. Please note, however, that you will not be able to determine the exact SPF of your product without testing and you cannot market SPF products without a license to do so. 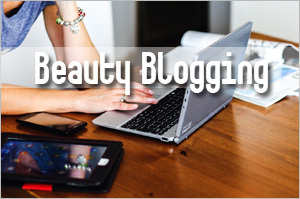 The usage of red raspberry oil on the skin is not the equivalent of using a properly formulated SPF product. Many factors are involved in how a product works as a sunscreen including absorption rate and viscosity of the formulation.” So I don’t think that applying RRSoil alone will suffice. Zinc Oxide and Titanium Oxide are indeed natural occurring compounds, They occur in nature as Zincite and Rutile respectively. Although the Zincite and Rutile used in sunscreens are more than likely man made. Thank you for this interesting information. Today I was listening to an interview of Bruce Fife, ND on the topic of Palm Oil. He said that Red Palm Oil protects us from various sources of radiation: UV, x-ray, nuclear, etc. It is best eaten because it will stain the skin red until washed off with soap and water. I think he said the processed Palm Oil (white) will also have a protective effect, but less than the Red. He also mentioned that coconut oil protects us from UV, but didn’t state an SPF. You can find the interview at UndergroundWellness.com/radio (Oct. 6, 2011 episode). I am a redhead and have also noticed that I am less sensitive to the sun since I eliminated processed food from my diet. Oh great! Thanks for sharing the link…I’ll check it out…hope I can get access to it. I don’t like using sunscreen when I stay home so do you think it would be a good idea to use one of these oils for a little bit of sun protection? I’ve considered using jojoba oil since I have oily, unclear skin but I’m not sure if an SPF of 4 is enough and how much it would protect me from UVA rays . I really wish there would be more information about PPD on the internet. Yes, for sure! Marie Veronique has a sun protective oil that is not bad. 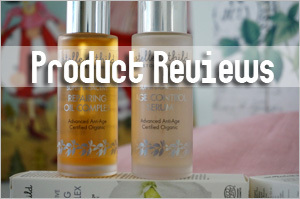 I’ve got a review here http://www.vivawoman.net/2011/02/22/review-new-haul-from-marie-veronique-organics/. Can’t remember if you were the one asking me about PPD…I came across something but couldn’t find them now. Try searching on makeupalley. Think they have something about PPD. Yeah, I wanted to know how high the PPD should be for everyday use and on smartskincare.com I’ve read it should be at least 10. This actually brings me to my next question. My everyday sunscreen only has PPD 7. I’ve read that you can increase the protection of your sunscreen when you use green tea under it. My idea is to use a mixture of green and white tea, add ascorbic acid and vitamine E and put that on my face before my sunscreen. Do you think this would increase the the PPD suffienctly? It probably can but I’m not too sure how much the mixture adds to. I’m more inclined to use something like a protective oil eg. raspberry seed oil, astaxanthin, etc as a base. But there is no way knowing how much the PPD would come up to. Thanks for the answer. I’ll just have to rely on that because I really like this sunscreen. I asked an author who writes books about DIY beauty and natural ingredients about red raspberry seed oil and she told me that it would oxidize too fast to act as a sunscreen but that it would be beneficial for the skin after sun exposure. It would? How about Astaxanthin? I’ve come across studies that suggest topical application is great for sun protection. I’m testing some stuff containing this for the moment and will address it soon. Astaxanthin is structurally related to carotenoids like Zeaxanthin, Lutein and Beta-Carotene so it has similar qualities. I’ve read that Astaxanthin is supposed to be ten times stronger than Beta-Carotene so I guess that it does provide protection from sun damage when applied topically. It’s also 500 times stronger than Vitamin E (but I think you already know all of this stuff). Now I want both Heliocare and Astaxanthin. My little obsession with sun protection is going to be the death of me. I have information that might interest you. I found a cheaper alternative for Heliocare. You get 90 capsules, in each casule there are 500mg Polypodium Leucotomos Extract, it costs 19 Euros which are around 25 Dollars and at the moment there is this promotion where you buy one and get one for free. You wrote that you prefer Heliocare in terms of sun protection. Is that still the case? I would like to know if you find Astaxanthin or Polypodium Leucotomos Extract better because this site sells both. Do you have any information on which is supposed to be stronger? I haven’t come across any comparisons so can only rely on experience. Just based on testing on my hubby (cos he loves outdoor sports and the sun), I noticed Heliocare has better effect compared to him popping Astaxanthin. Yet, I read people who do not burn when they take this before playing golf so I’m a little puzzled. So I’m taking another brand for a try first before confirming. Thanks for the nice article! 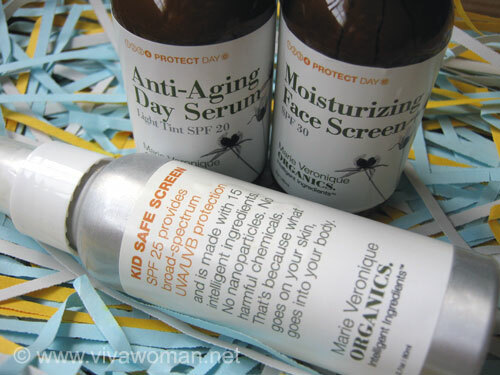 I am still on the lookout for the perfect natural sunscreen, but it’s not easy. So many sunscreens still contain weird chemicals as a preservative (if they contain water0 or leave a white cast… ! 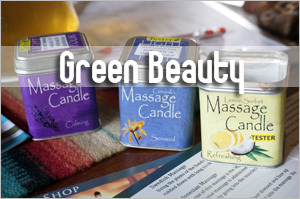 There are an increasing numbers of sunscreens which are naturally formulated. Look through my sun protection category and you should find some. Thank you for your great post! I’ve had some bad reactions to sunscreens in the past. My skin is very sensitive and breaks out easily. After trying so many sunscreens that haven’t worked for me I have decided to make one myself. 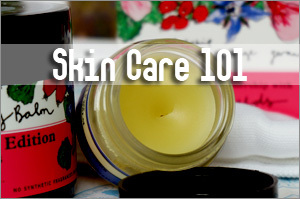 Do you know if Sunflower oil can be used in sunscreens? I know this is a light oil and my skin can tolerate it but I don’t know if it is a suitable ingredient in sunscreens. It should be okay. How about virgin coconut oil? It has sun protection properties. I have fair, sensitive skin and moved to Malaysia this year so am exposed to the sun more than i would like. 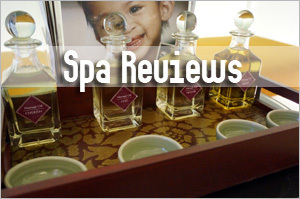 I use nothing but raspberry seed oil straight on my skin when going for outdoor activities. 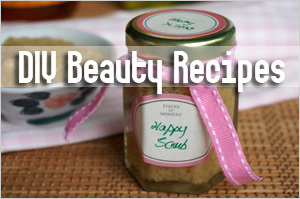 I find it protects my skin beautifully, keeps me from burning, absorbs wonderfully and leaves my skin amazingly soft. 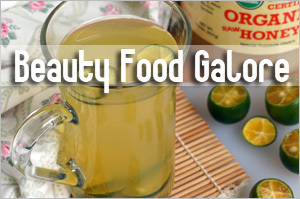 I also include it in my homemade facial oil blend along with grapeseed or almond, camellia seed and cotton seed oil. Amazing. I also mix it into my homemade moisturizer – same blend of oils plus shea and almond butter and i have picked up almost no colour in my daily walk to work. In my experience, raspberry seed oil is a winner as an ingredient or a standalone sunscreen oil. It has good sun protection! I like it in my oil formulas too and the one I use in the day has it. Wow, those recommendations are amazing! 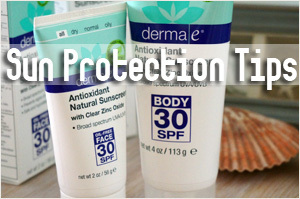 It is sad that finding these products can be hard to find, but I do like the idea of using natural sun protection. As a grandmother, I now think more about my 3 grandchildren than myself. 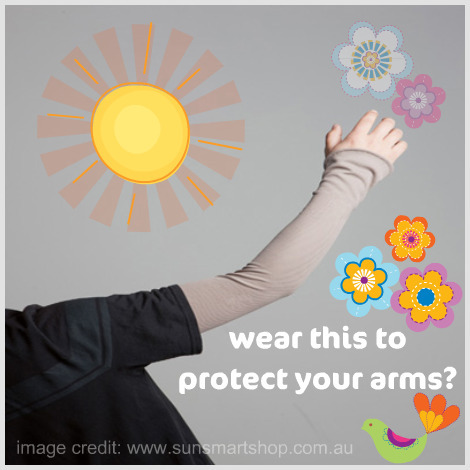 I will be looking at your sun protection category as noted in one of the post. Thank you for this wonderful information!